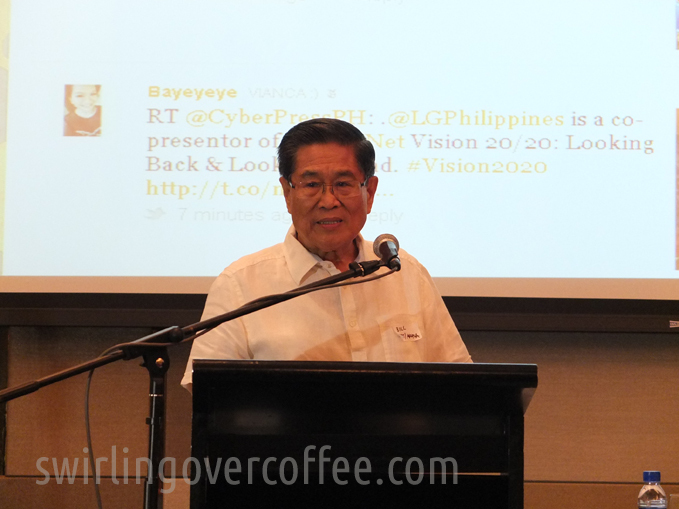 The IT Journalists Association of the Philippines (CyberPress) held a forum celebrating the 20th year of Internet connectivity in the Philippines. Here are some of the key speakers. Bill Toress, above, the “Godfather” of the Philippine Internet, laments that we’re ahead worldwide in selfies and texting but are behind in education, farming, food production, and infrastructure. 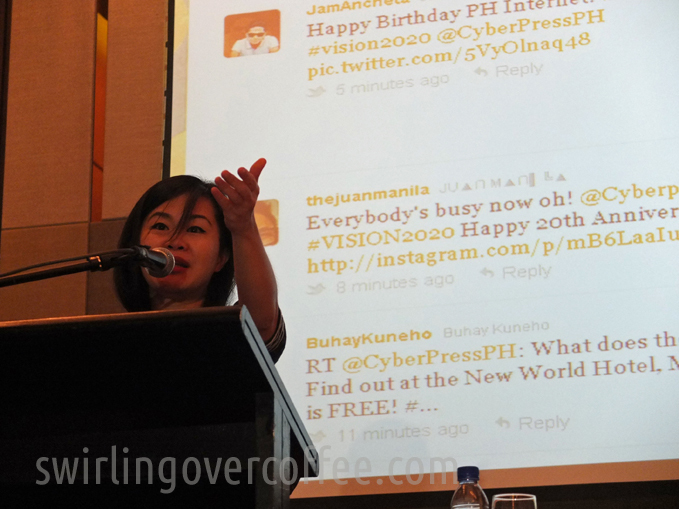 CyberPress President and veteran, veteran tech journalist Alora Uy Guerrero opens the event. 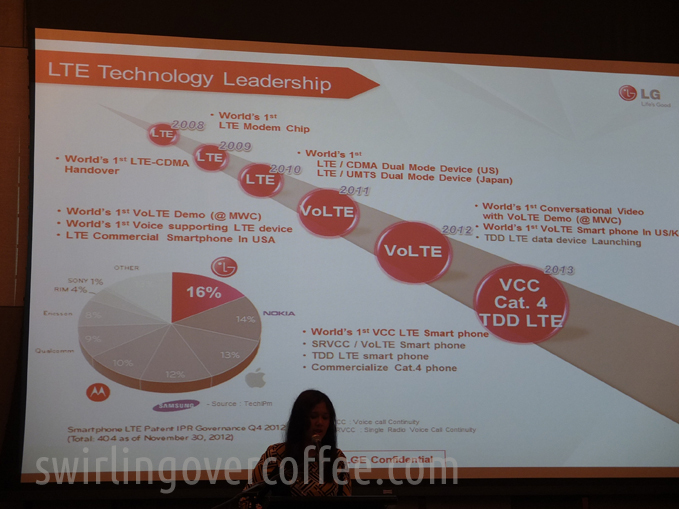 LG Philippines Product Manager Faith Mijares covers LG’s contribution to LTE development. “The average age of tablet use if ten months,” this according to Fernand Cocoy Claraval of Globe. While these speakers presented various (and often politically differing) eyes on the development of the Internet (and of Internet-spurred behavior) in the country, absent were the nostalgia-inducing rise and fall of user-centered narratives – EdsaMail, Yahoo Messenger, Blogspot, Banner Ads, Citizen Journalism, Friendster, Video Scandals, MySpace, Mininova, Napster, YouTube, Gdrive, MMORPG, and the like. 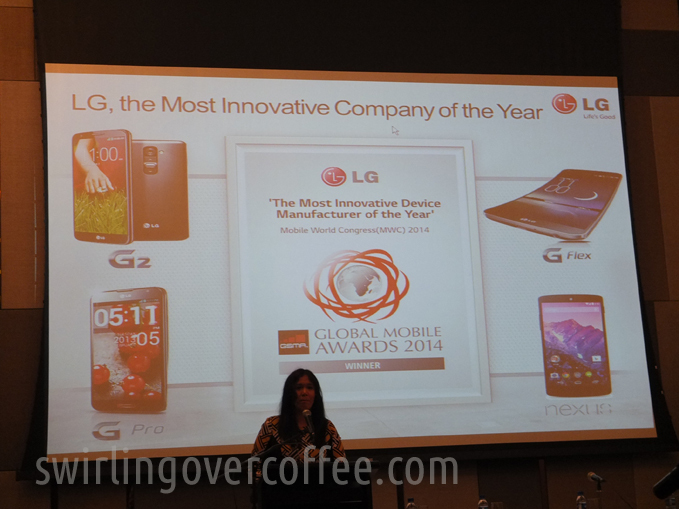 CyberPress Forum 2014 was sponsored by LG Philippines. 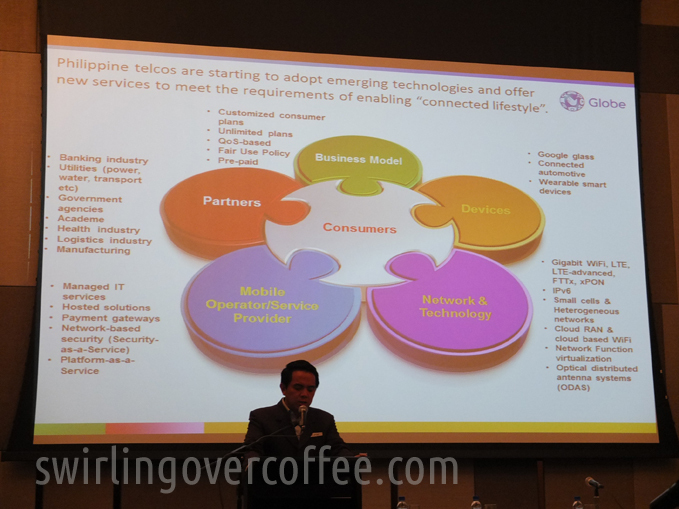 Happy 20th, Internet in the Philippines. Someday, maybe, enough Tweets and FaceBook unlikes may unseat many a hideous government official.